A third-generation automotive professional, Craig has been in the automotive business for over 41 years. He has been with Wilson Automotive for 18 years, the past four years as President. He has also been a partner in the group’s Toyota of Puerto Vallarta since 2007. Craig was born and raised in Farmington Hills, Michigan, where his father and grandfather worked for Ford Motor Company for 44 and 40 years respectively. He began his career working at a local Chevrolet-Cadillac dealer where he held positions in the parts, service and sales departments as he worked toward his degree at Northwood Institute. This “real-life” retail dealership experience, combined with his degrees in business, automotive marketing and advertising, provided him with a strong background in the retail automotive industry. Following his graduation in 1981, Craig acquired a position at General Motors’ Chevrolet Motor Division. He eventually held four positions in four different geographic locations with Chevrolet over his five-year career – the last as District Sales Manager for Chevrolet Minneapolis Metro dealers. He was then recruited by Toyota Motor Sales and served in six field and three corporate positions during his fifteen-year career with Toyota. His most recent positions were as Vice President and Assistant General Manager of Central Atlantic Toyota with responsibility for all sales, marketing and port operations for 132 Toyota dealers in 5 states; Lexus Western Area Manager responsible for all Lexus dealer activities for 58 Lexus dealers in 12 western states; and finally Corporate Manager and Dean of Toyota University, responsible for all Toyota corporate associate and Toyota/Lexus dealer training activities. He joined Wilson Automotive as Executive Vice President in March of 2000. 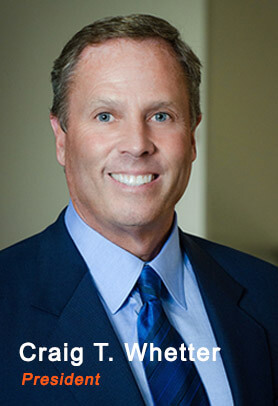 Craig is a graduate of the National Automobile Dealers Association’s General Dealership Management Program and was a recipient of Northwood University’s Outstanding Alumni Achievement Award in 2013. He is also an Eagle Scout and served on the Board of Directors of the Orange County Council of the Boy Scouts of America. Craig supported Northwood University by serving on the Board of their annual Southern California golf tournament.